Planning Your 2019 Programming Schedule? 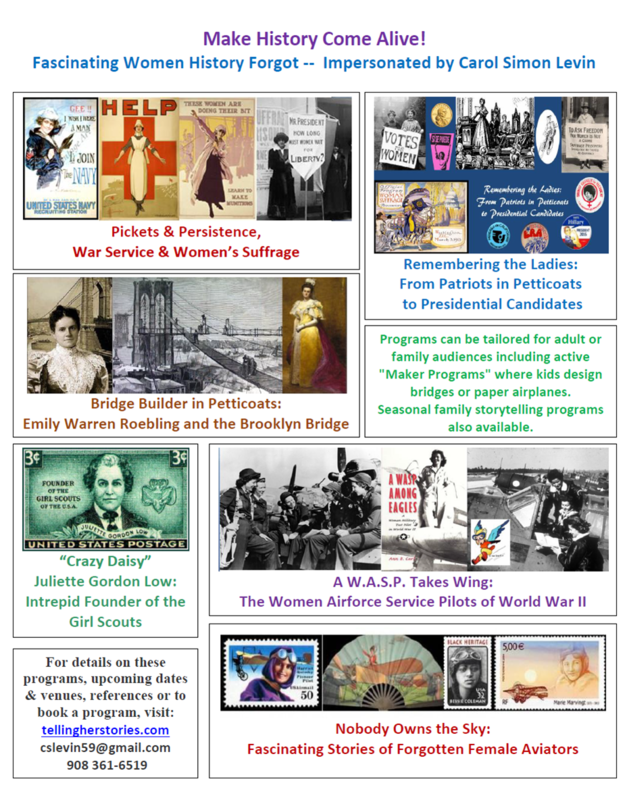 Bring the stories of amazing women from history to your library, school, senior center, historical society, scouting event, or civic organization. Looking for an inspiring gift? 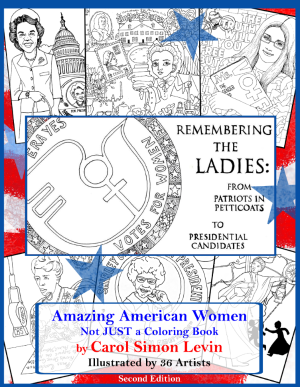 Remembering the Ladies: From Patriots in Petticoats to Presidential Candidates depicts the struggle for women's rights through coloring pages and lively profiles of 69 courageous & tenacious women of all colors and creeds who fought to enhance women’s political participation—founding mothers, abolitionists, suffragists, feminists, labor and civil rights leaders, and pioneering female politicians.